Authorities colluding with Muslim businessman, pastor says. 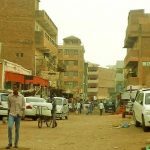 JUBA, South Sudan (Morning Star News) – Police in Omdurman yesterday detained three Christian teachers from the Evangelical School of Sudan in a bid to help a Muslim businessman take ownership of the school, Christian sources said. They were released on bail after eight hours, charged with obstructing the work of those attempting to take over the school. The arrests came nearly a month after authorities detained overnight four educators from the same school, including one re-arrested yesterday (March 16), Daud Musa, before releasing them on bail. They were accused of destroying a sign belonging to Education Vision, the company owned by the Muslim businessman claiming ownership of the facility. On Thursday (March 16) about 20 policemen aboard a truck forcefully entered the school compound in Omdurman, across the Nile from Khartoum, arrested the three Christian teachers including the headmaster, Musa, and took them to Omdurman’s central division police station, sources said. Also arrested were Christian teachers Yahya Elias and one identified only as Younan; all three belong to the Sudan Presbyterian Evangelical Church (SPEC). The Rev. Yahia Abdelrahim Nalu, SPEC moderator, confirmed the arrests, describing them as a result of collusion between the government and the Muslim investor. “There is a big collusion between the police, the attorney and the Ministry of Guidance and Religious Endowment,” Nalu said. SPEC leaders said police are aiding in an illegal takeover of the school. “Police are illegally aiding the company [Education Vision], despite the fact that it has no legal documents of ownership,” one SPEC leader said. The Evangelical School of Sudan is one of several SPEC schools throughout Sudan. On Feb. 20 police arrested Musa, SPEC Presbytery member the Rev. Sidik Abdalla Anglo, elder Himeda Kandr and his colleague Majdi Juma, releasing them on bail of 10,980 Sudanese Pounds (US$1,682) on Feb. 21. They strongly denied charges that they had destroyed the sign post. Muslims claiming ownership of the new school had put up an Education Vision sign post on Feb. 18. The school was established by the American Mission in 1924. Amid a struggle by SPEC to remove government-imposed leadership of the beleaguered denomination, the arrests came after a Muslim identified only as Hassan approached school administrators and claimed that he was the new headmaster of the school, now to be called Education Vision. The sign post was said to be valued at 10,000 Sudanese pounds (US$1,530). The leadership of the SPEC remains in the hands of government-appointed committee members even after a court ruled in November 2016 that the appointments were illegal, sources said. Sudan’s Ministry of Guidance and Religious Endowment appointed a group to run the SPEC offices on May 13, 2013, in what the prior church leaders called a bid to control church activities and rid the country of Christianity. The ministry issued another letter on Oct. 8, 2013 appointing outsiders to run church affairs, and the church offices soon closed. A Nov. 29 ruling by Judge Mahmoud Ali Ibrahim of a High Court on administrative matters ruled the Ministry of Guidance and Religious Endowments interfered with church matters and ordered the original leadership be re-installed. The court agreed with SPEC leaders that the appointments contravened the church’s bylaws, which call for election every three years of new leadership through a general assembly. SPEC leaders on April 1, 2016 had written a letter of appeal to the National High Court questioning the legitimacy of the ministry’s decision to hand over the church offices in downtown Khartoum and neighboring Omdurman to government appointees. Nalu told Morning Star News that despite the court decision calling for the removal of the government appointed leaders and the re-opening of the church offices, no action has been taken. Nalu said the Nov. 29 court ruling sent to the Ministry of Guidance and Religious Endowment nullifies all former court decisions regarding the church leadership. He added that issue has become more political than legal. The case is separate from an Aug. 31, 2015 ruling by the Administrative Court of Appeal saying the Ministry of Guidance and Religious Endowments interfered with SPEC’s Khartoum Bahri Evangelical Church by imposing committees on the church in order to enable Muslim investors to take it over. The church has been subject to arrests and demolition of its property as the congregation has objected to the attempted takeover. Two South Sudanese pastors were jailed since December 2014 and January 2015 respectively, charged with capital crimes, over their support for the congregation’s fight to prevent the take-over by Muslim investors. The Rev. Yat Michael, 49, and the Rev. Peter Yein Reith, 36, could have been sentenced to death or whipping had they been convicted of the serious charges concocted against them by Sudan’s National Intelligence and Security Services (NISS). They were convicted of lesser charges on Aug. 5, 2015 and released on time served. They and their families have since relocated to a third country to protect them from Islamist retaliation. The Aug. 31, 2015 ruling nullified three committees the Islamist government imposed on the church. The seven-page decision described the actions of the Ministry of Guidance and Religious Endowment as illegal and mere interference in SPEC affairs. Riot police had seized the property by force in February 2015, and on Nov. 17-18, 2014, a bulldozer accompanied by security personnel and police knocked down a wall of the church and houses in the church compound. Christians formed a human barrier to face down further demolition attempts on Nov. 19-20, 2014. One of the homes destroyed in the compound belonged to Nile Theological College; a Christian doctor had rented it, and he lost all his belongings, sources said. The bulldozer, accompanied by NISS personnel and police, carried out the demolitions based on a court order demanding that church leaders surrender the premises to Muslim investors. 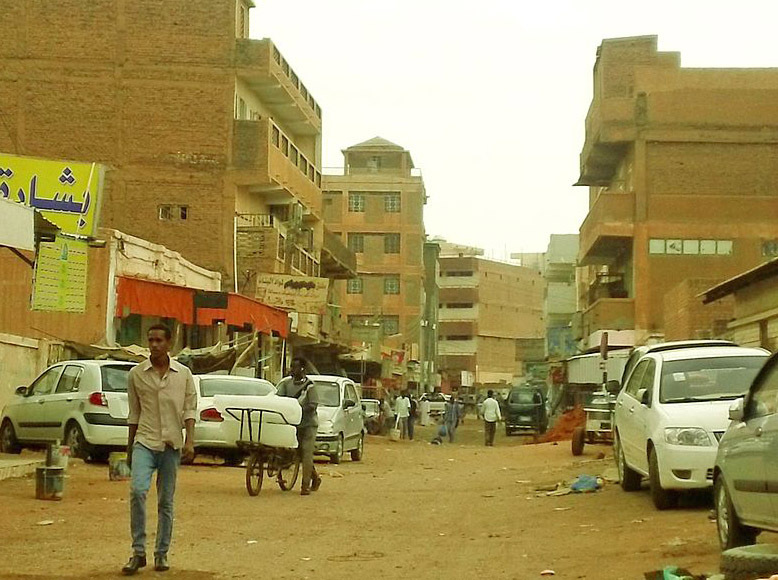 The church committee of members that the Sudanese government interposed made a secret agreement with the investors to sell the church property as part of Sudan’s campaign to do away with Christianity in the country, church leaders said. Police in North Khartoum on Dec. 2, 2014 beat and arrested 38 Christians from the church and fined most of them. They were released later that night. Harassment, arrests and persecution of Christians have intensified since the secession of South Sudan in July 2011, when President Omar al-Bashir vowed to adopt a stricter version of sharia (Islamic law) and recognize only Islamic culture and the Arabic language. The Sudanese Minister of Guidance and Endowments announced in April 2013 that no new licenses would be granted for building new churches in Sudan, citing a decrease in the South Sudanese population. Due to its treatment of Christians and other human rights violations, Sudan has been designated a Country of Particular Concern by the U.S. State Department since 1999, and the U.S. Commission on International Religious Freedom recommended the country remain on the list in its 2016 report. Sudan ranked fifth on Christian support organization Open Doors’ 2017 World Watch List of countries where Christians face most persecution.